Last week I was having a hard time with meal planning, so I asked my daughter what she wanted. "Shrimp and pasta!!" That works for me! I picked up some asparagus, and decided to bring everything together with herbs, garlic, and lemon. 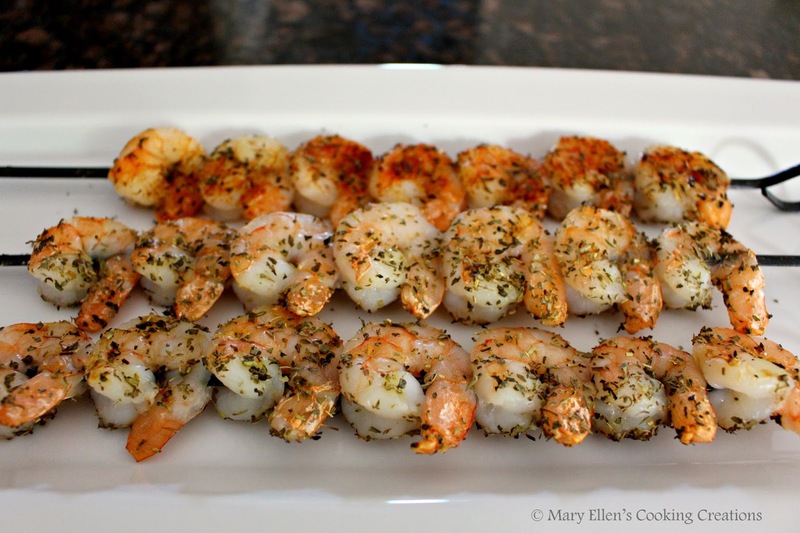 To make things come together quickly, my husband grilled the shrimp while I made the rest of the meal. For timing, as soon as I dropped the pasta I started my "sauce" and had him put the shrimp on the grill. 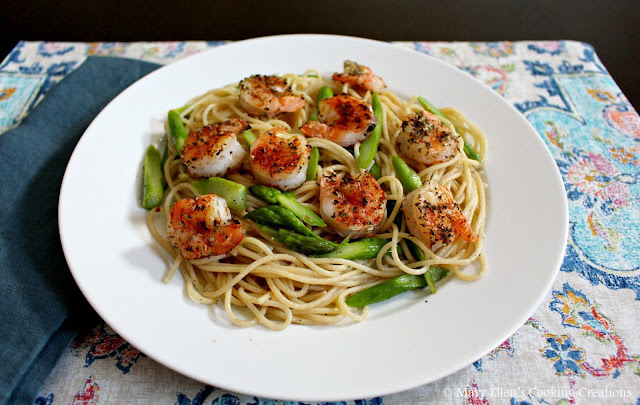 He walked into the kitchen with the shrimp as I was tossing the cooked pasta with the asparagus and sauce. Isn't it great when things like that happen? This was a light and fresh summer meal that came together in 15 minutes. Even better, my daughter ate 9 shrimp and all of her asparagus and asked for more. I'd say that's a successful meal! Pour the vegetable oil onto some paper towels and rub it onto your grill grates by holding the paper towels with tongs. This will keep the shrimp from sticking to the grill. Bring a pot of water to a boil. 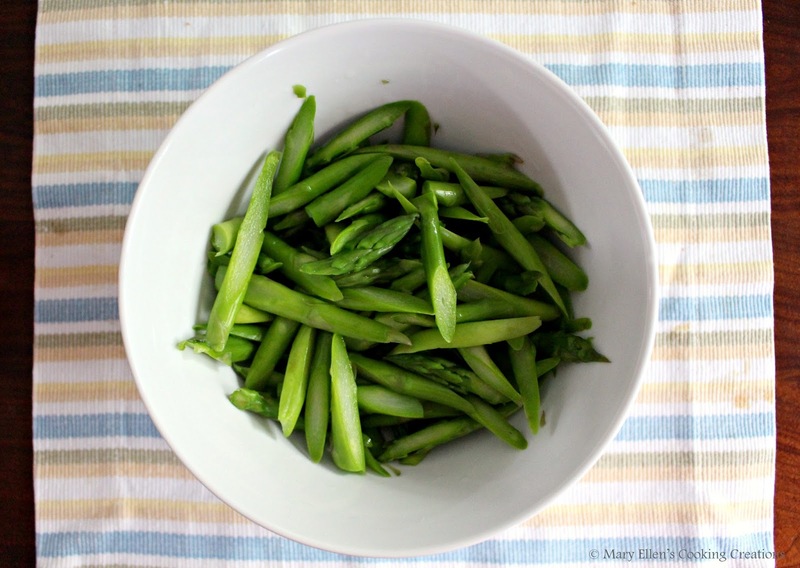 Drop the asparagus in for one minute and then transfer to a bowl of ice water using a slotted spoon. Do not dump the water! Return the water to a boil, salt it, and then add the spaghetti to the water. Cook to your liking. While the shrimp is grilling and the pasta is cooking, heat the olive oil in a large saute pan. Add the garlic and red pepper flakes. Turn heat to low to keep warm, being careful your garlic does not brown. Once the pasta is done and drained, add it to the pan. Add the lemon juice, salt, pepper and asparagus. Toss everything to combine. 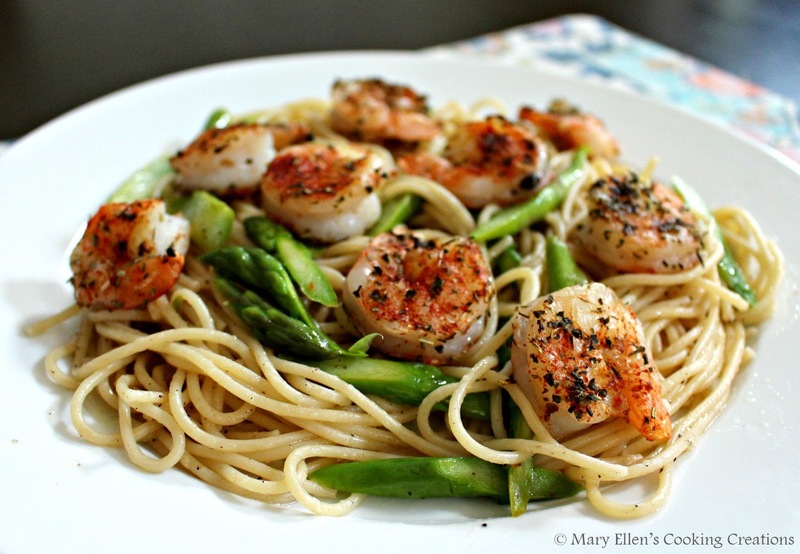 Serve with the shrimp.